QMC is a Measurement Canada Accredited Meter Verifier. 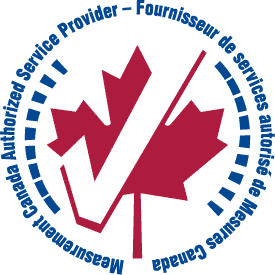 We perform re-verification on the tenant billing systems we have deployed, as well as other meter systems, across Canada. Historically, meter reverifications have been conducted by Measurement Canada Inspectors or by Accredited Meter Verifiers in their labs. To do this, meters and related equipment (current transformers, potential transformers) need to be removed from the field, tested and then replaced. This process is obviously very costly and disruptive to properties. Quadlogic Controls has re-engineered its Minicloset® multi-meter and RSM5 single meter to eliminate the above process. The meters are transformer rated and utilize Measurement Canada approved 5-amp secondary CTs. The Minicloset® and RSM5 can now be easily removed from the site without having to remove the CTs and without having to shutdown the tenant’s power. The costs for the re-verification of a Quadlogic system will be far less than the cost for systems which do not use 5 amp approved CTs and that have to have the PTs and CTs removed from the field for re-testing. A re-verification contract for a Quadlogic system will involve an authorized QMC technician removing the property’s meter, installing a temporary sealed meter and shipping the original meter to the Accredited Meter Verifiers. After re-verification the meter will be re-installed by the technician and the process will continue for all additional meters with an expired seal. If you need a meter reverification completed, please contact your QMC representative, or here.